Climate Change is an undeniable reality affecting the planet and humankind. It is also an existential threat for future generations. 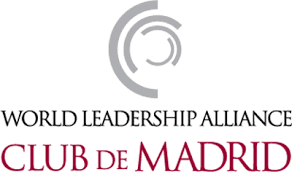 For over a decade, the Club de Madrid and its more than 100 Members, all former Presidents and Prime Ministers from more than 65 countries, have been vigorously advocating for an ambitious, effective and fair global climate regime. President Trump’s decision to withdraw the U.S. from the landmark Paris Climate Agreement has left us and many around the world baffled and concerned, not only about the future of global climate and environmental policy, but also about the impact that this decision may have on international relations moving forward. The 2015 Paris Agreement was a historical, forward looking milestone, in process and responsibility. Intense negotiations brought 195 nations to agree to voluntarily tackle climate change. Relinquishing the U.S. responsibility and role in the new, global climate regime, as well as in the revolutionary clean energy transition resulting from it, is likely to affect other international negotiations. It will also open up a geopolitical vacuum which other leaders may assert themselves to fill. We deeply regret the Trump administration’s decision to withdraw the U.S. from the Paris Climate Agreement and will once again forcefully and enthusiastically take up a line of action launched 10 years ago with our Global Leadership for Climate Action Initiative, this time aiming to mobilize political will in countries, cities, business and citizens for far-reaching and effective action to meet the Paris commitments to prevent catastrophic climate change in spite of the U.S. withdrawal. Climate change is not just an environmental issue. Neither are climate actions a burden to the economy. They are, in fact, an opportunity to expand market options for all Already in 2007, the McKinsey Global Institute highlighted opportunities for efficiency gains, shifts to lower-carbon energy sources, and expanded carbon sinks with initial capital costs completely offset by savings in future energy costs. They noted that “concerted efforts to reduce GHG emissions would…stimulate economic forces and create business opportunities that we cannot foresee today and that may accelerate the rate of abatement…, thereby reducing the overall cost.” Ten years later, there is even greater consensus on this. As former democratic Presidents and Prime Ministers from around the globe, we call upon each and every other signatory of the Paris Agreement to show greater urgency and commitment in the fight against global warming and bolster their support of the Paris Accord. We encourage cities, counties, states and companies in the U.S. to boldly and firmly pursue ambitious policies to address climate change and support the transition to a cleaner energy system. We stand ready to engage with all stakeholders in the US to bring light to the real issue at hand. It is time to speak truth to power and advance in a positive, constructive path, globally but also in the U.S. Climate change must remain paramount on the global agenda and truth must prevail in the end, for the sake of our planet and the future of mankind. Likewise, we urge all stakeholders to further and strengthen trust between the North and the South and establish an equitable basis and new modalities for genuine international cooperation in addressing the challenges of energy and climate security. Climate Change is much more than just about facts, figures and degrees. This is about our values and our future. The Paris Agreement must be a promise that becomes reality for the sake of our planet and future generations. Gro Harlem Brundtland, PM of Norway (1981; 1986-1989; 1990-1996) and UN Secretary General’s Special Envoy for Climate Change.